In “Control Knobs”, a fruitless search for a replacement knob for the Salton cooker becomes an extended ode to the discontinued appliance; ‘Salton of South Africa’ is invoked like a spell, the country itself seems a far-off fairytale land. This is alternated with musings on an apocalyptic book she has read, the protagonist of that story keeping careful track of her stores, knowing that the end of them will soon bring about her own. That last working control knob is the equivalent of the waning store of matchsticks in her mind. Even though we know that all she needs to do is step through the door of reality and ask her landlady to replace the cooker, there is a disquieting quality in the fantasy she indulges in that it is somehow an end. Not of course, The End, but all endings are just practice for the final one. The person who lives alone is prone to thoughts that do not normally occupy those who have others living under the same roof, or who are inundated in their daily lives by the regular noise of crowds and never-ending responsibilities. They are odd, to say the least, the words that creep into the silence of solitary minds. They may be only said to oneself, or maybe they are repeated into the quiet that follows constantly like a shadow, if for no other reason to remind ourselves that words exist outside of thought, they have a distinct shape and sound that we feel and hear when we push them out of our mouths and into the world. “Oh, Tomato Purée” is such an example. It feels almost ridiculous to read, because most of us would think, who says things like this? But some of us know: these are the secret mantras we chant under our breath when there is no one around to have the oft-repeated dialogues of life with: How was your day, Did she really? Remember we’re meeting them next weekend. To speak words, no matter how small or odd they are is to remind us of our existence. The stories in Pond deliberately take something whole and fracture it; all the better to understand the shards that make up a life lived in relative solitude. Each one resonates with emotion, beautiful and yet strange. They convey the truth that sometimes the hiddenness of things is in plain sight; even when we think that turning over rocks is where we find our meanings. ‘She’ is reflected in everything that is around her: a dying cooker, a rain soaked hedge, a glass of wine, two thousand sexually graphic emails, a notebook scrawled in by the dim light of a fire. Pessoa, critiquing Heraclitus in his Philosophical Essays says, “All is change. True. But if there is change, this change must take place in something. This something is what we call substance, Being.” Here is feels as if her changes take place not within her, but in the objects of her immediate material world and the memories they conjure. They take in her life and act as a kind of automata as she observes and muses on them. We all are the same, even though our objects and memories are different; it is only when we are alone that we finally notice. Claire-Louise Bennett – grew up in Wiltshire in the southwest of England. Her short fiction and essays have been published in The Stinging Fly, The Penny Dreadful, The Moth, Colony, The Irish Times, The White Review and gorse. She was awarded the inaugural White Review Short Story Prize in 2013 and has received bursaries from the Arts Council Ireland and Galway City Council. Pond is her first collection of stories. Tomoé Hill – lives and writes in Kent. Her pieces have been in The Stockholm Review of Literature, Open Pen, and LossLit. She is reviews editor at Minor Literature[s]. @CuriosoTheGreat. 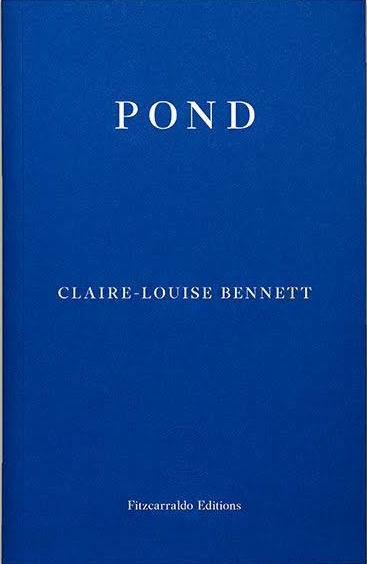 Posted in Book reviews and tagged claire-louise bennett, pond, solitude. Bookmark the permalink.